APT are industry experts in industrial floor cleaning, not only because of our longevity in the business and our knowledge but because of the specialised selected range of products that we use, that have been tried and tested time and time again. Our industrial floor cleaners operate in food and beverage factories, heavy industrial plants to car and engineering factories to name a few. 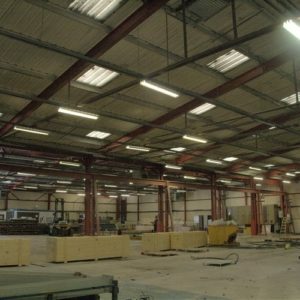 We are experts at returning your work place to back to its original and safe condition. We can work around your schedules to suit your working patterns. APT industrial floor cleaning services are available 24 hours a day, 7 days a week and 365 days a year. 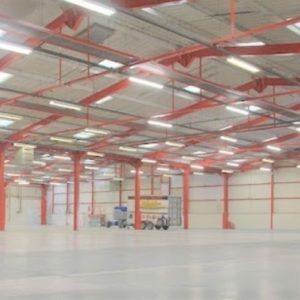 Delivering industrial floor cleaning across such a broad range of industries requires expert industry and product knowledge, something we have gained over our 25+ years in the business. We will provide expert advice to you weather you use us or not. Our hard floor cleaning systems will remove glue, gum, grease, oil, tar and paint as well as all the other general cleaning problems you may encounter in your work place. In any commercial environment, the floor is the main repository for the dirt and detritus that naturally occur as a result of industrial activity and human traffic. Properties with heavy machinery and an ongoing build up of dirt from dust, oils, greases and everything else that comes with serious machinery are a particular speciality; We work in conjunction with our sister company who specialise is industrial safe floor cleaning and warehouse floor cleaning products and have expert chemists to advise on the correct product to use when industrial floor cleaning. We have witnessed time and again where the wrong product has been used for hard floor cleaning, thereby causing severe damage and huge costs for the company. We recently visited a company to help solve a problem where inferior products had been used as they were deemed cheaper however, the product stripped the paint from the surface leaving a £20,000 refurbishment job…be careful!